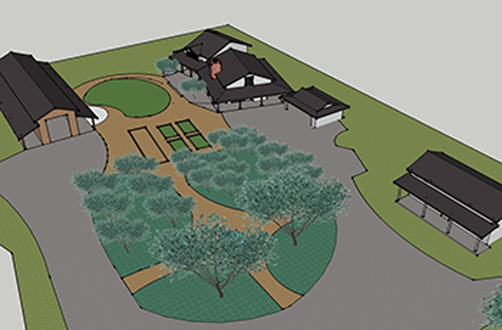 This new 2 acre project has broken ground and is under way. Completion by 2018 the project will include a private residence, barn, general store, animals, gardens, vineyard and learning center. The project will be certified as a Living Building Challenge structure and will be required to be self-sufficient for energy and water for at least 12 continuous months, to meet rigorous standards for green materials and for the quality of its indoor environment. We encourage our clients to incorporate environmentally friendly "Green" materials and practices into their projects. We strive to make all of our projects LEED certified. Green design principles, products and practices are good for the environment, provide healthier indoor spaces, save energy while lowering energy bills and conserves natural resources. SCA is a member of the National Green Building Council.